In 2010 I developed a first set of tabs as an aid to pass your PRINCE2 Practioner exam. As of that moment I developed these tabs for many other methods like MSP, MoP, P3O, AgilePM, PRINCE2 Agile et cetera. Both have been create to help users to find and access relevant key sections of Managing Successful Projects with PRINCE2® quickly while studying Foundation and in the open book Practitioner examinations. In addition, PRINCE2® Smart Tabs have QR codes which, when scanned, link users to further online resources which closely align to the core guidance for learning and exam preparation. These resources can be videos, the PRINCE2 Wiki, blogs, tutorials, et cetera. Conclusion both will work but I am somewhat biased if I look at my own tabs, so you have to judge for yourself too. To accomodate your study the SmartTabs are a better fit, to support you during your practitioner exam I prefer my own tabs. Now the new PRINCE2 Update 2017 manual is available (click to to order PRINCE2 Update 2017), I updated the PRINCE2 manual supporting tabs as well. 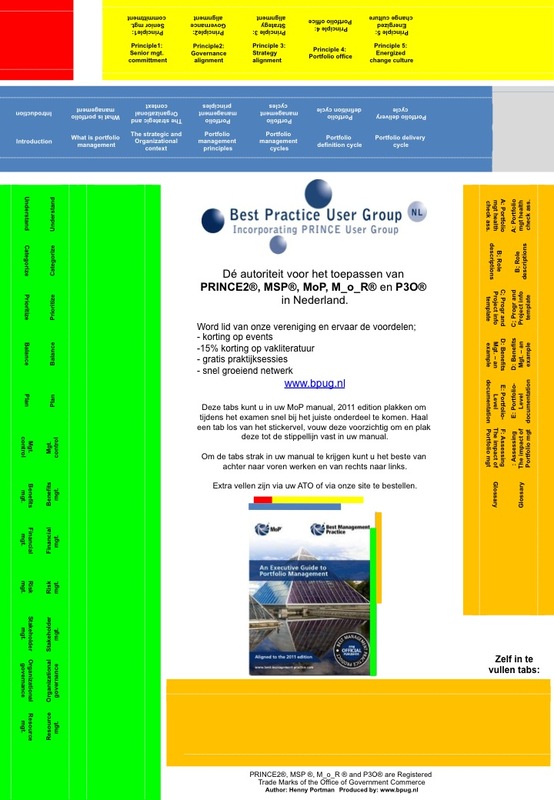 The Dutch Best Practice User Group (BPUG) will offer pre-punched papers with stickers representing the colored tabs. I hope it will help you to pass the exam. 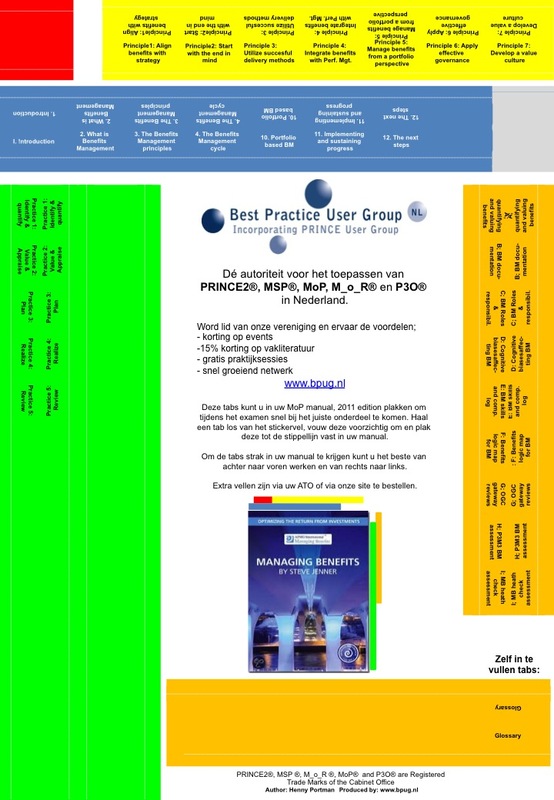 I am happy to announce that as of now, PRINCE2 Agile practitioner candidates can make use of a simple aid to quickly find your way in the official PRINCE2 Agile manual during e.g. your exam. These tabs (place marks) are developed in line with the successful tabs I developed for the PRINCE2 manual. Please let me know if you miss specific topics which needs to be addressed by their own tab. 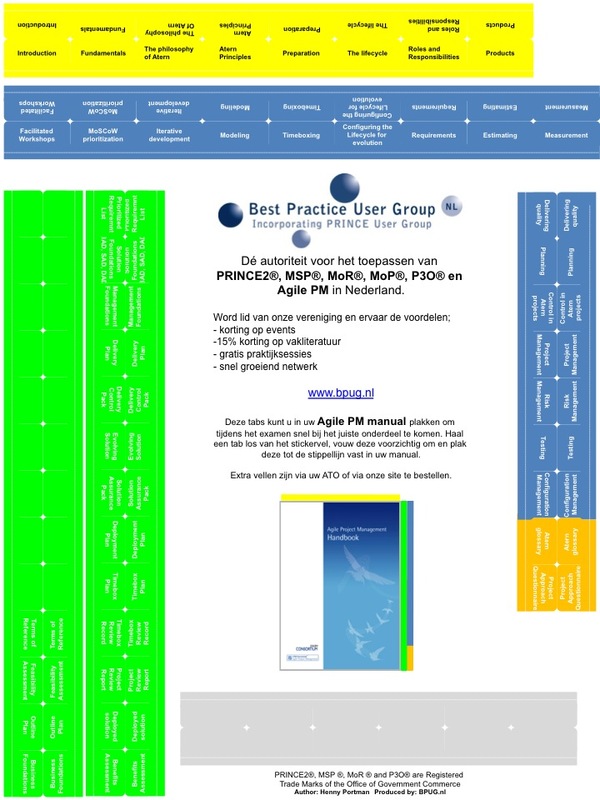 I am happy to announce that as of now, Agile PM practitioner candidates can make use of a simple aid to quickly find your way in the official Agile PM (version 1.1) manual during e.g. your exam. 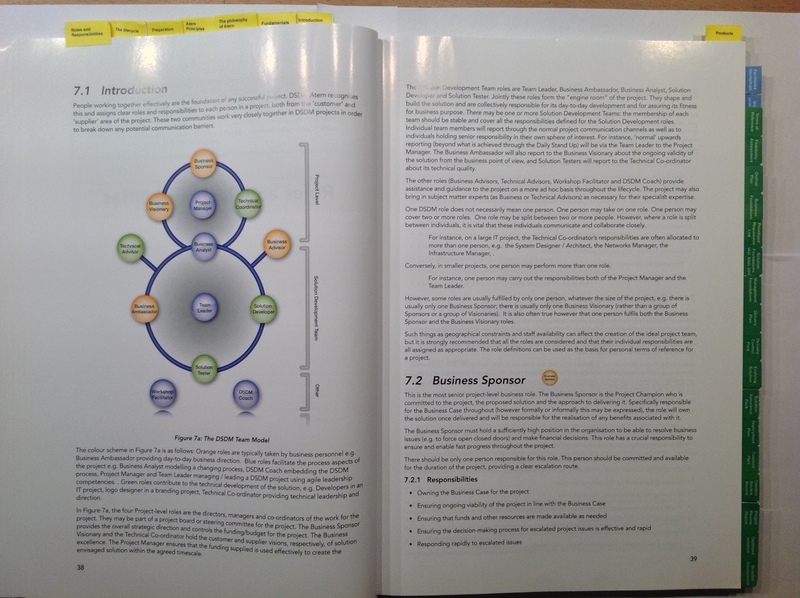 These tabs (place marks) are developed in line with the successful tabs I developed for the PRINCE2 and MSP manuals. I am discussing with the Best Practices User Group if they want to be the publisher of this aid. For AgilePM v2 users I updated the tabs. I just went through the new P3O manual and I adjusted the corresponding manual supporting tabs. P3O practitioner candidates can make use of this simple aid to quickly find your way in the official P3O manual during e.g. your exam. 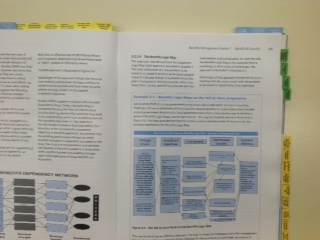 These tabs (place marks) are developed in line with the successful tabs I developed for the PRINCE2 and MSP manuals. I will discus with the Best Practices User Group if they want to be the publisher of this aid. Please have a look and give me your comments or references you would like to include. If you want to use it right now you have to print it on a sticker A4 paper. I am happy to announce that as of now, Managing Benefits (MB) practitioner candidates can make use of a simple aid to quickly find your way in the official MB manual during e.g. your exam. 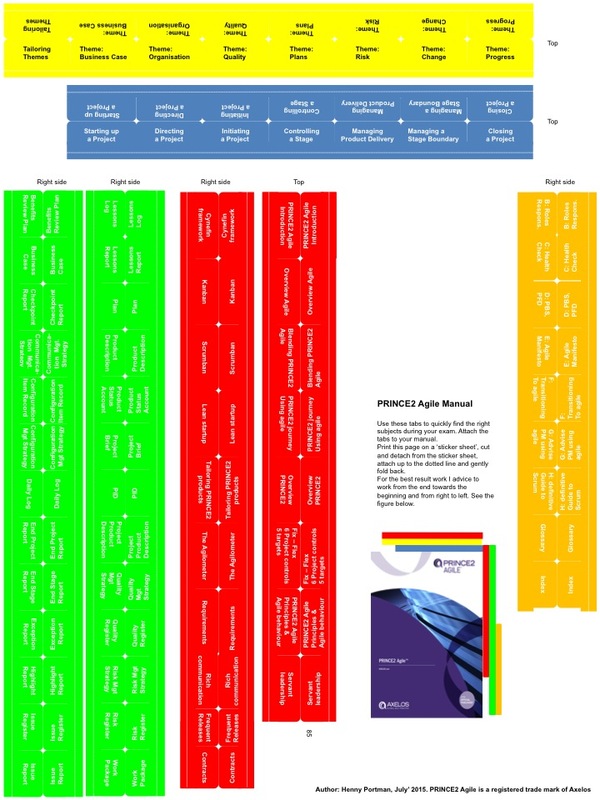 These tabs (place marks) are developed in line with the successful tabs I developed for the PRINCE2 and MSP manuals. I am discussing with the Best Practices User Group if they want to be the publisher of this aid. I am happy to announce that as of now, MoP practitioner candidates can make use of a simple aid to quickly find your way in the official MoP manual during e.g. your exam. 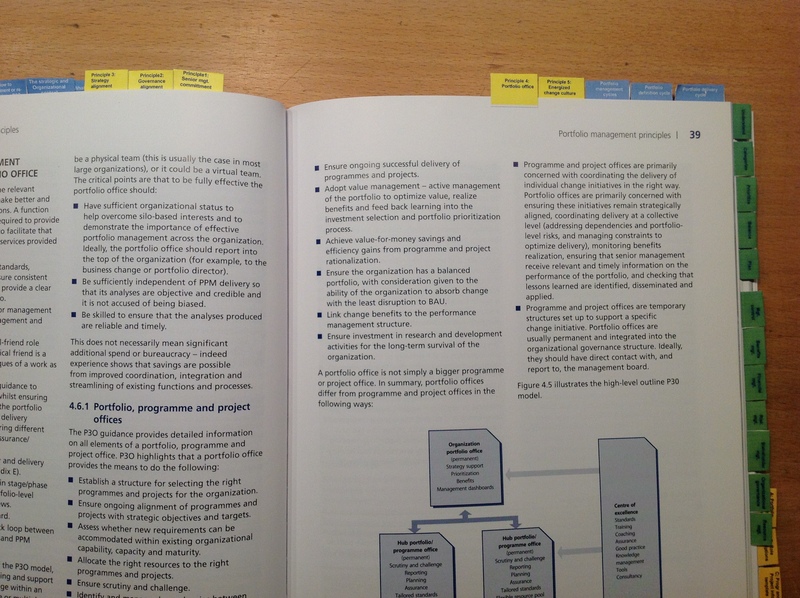 These tabs (place marks) are developed in line with the successful tabs I developed for the PRINCE2 and MSP manuals. I am discussing with the Best Practices User Group if they want to be the publisher of this aid.